At least 20 protesters including women were injured on Sunday evening when police resorted to lathicharge on them, who took to streets near Commerce College point of the city’s Chandmari area, in protest against the lynching of the two Guwahati youths in Karbi Anglong. 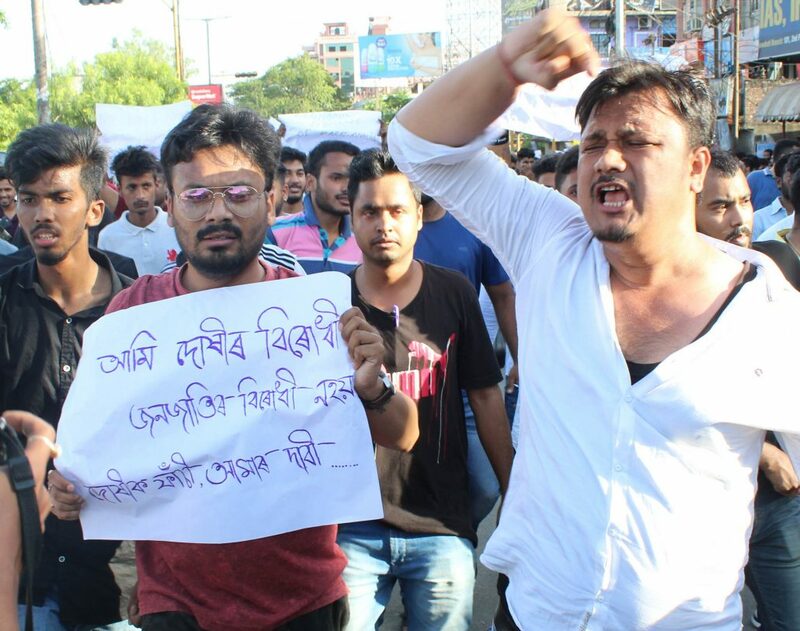 Hundreds of protesters took out a massive protest rally from Guwahati Commerce College point towards Chandmari after staging road blockade on RG Baruah Road for sometime time. The protest, however, took ugly turn when police stopped the protesters who were marching towards Raj Bhawan. The police resorted to lathicharge to disperse the agitators when they clashed with security personnel. A section of angry protesters also allegedly pelted stone on the protesters. The protesters also allegedly damaged an ATM booth at Commerce College point besides attacking city buses plying on RG Baruah road. Guwahati Police Commissioner Hiren Nath said that at least six police men were injured when some protesters hurled pieces of bricks, beer bottles, water bottles and reflectors on them. Police Commissioner Nath said that police had to chase them away as some protesters turned violent.